No matter what type of Hard Drive you rely on, our specialists can restore it. We fully support all major manufacturer Hard Drives. So you can rest assured that we know exactly how to solve your problem quickly and efficiently - no matter how bad the damage appears to be. We Recovers upto 100% data with a success rate of more than 95%. Talk to our Data Recovery Experts today. Stellar Data Recovery is the leading ISO 9001:2015 - QMS & ISO/IEC 27001:2013-ISMS certified data recovery services provider in Vashi. We provide the best infrastructure to recover data from all kind of data loss situations for all kind of storage devices. We have state-of-the-art infrastructure CLASS 100 CLEAN ROOM LAB for recovering data from physically crashed or damaged hard drives. Our Data Recovery Center in Vashi is in BSEL Tech Park, which is located within the proximity of the railway station. Its strategic location makes it easily accessible to existing as well as prospective customers from Thane, Airoli, Rabale, Ghansoli, Kopar Khairane, Karjat, Taloja, and other parts of the state. At our center in Vashi, we offer a wide range of data recovery services such as Hard Disk Recovery, Desktop/Laptop Data Recovery, Removable Media Recovery, Raid Data Recovery Services and Server Data Recovery. We guarantee up to 100% data recovery and follow effective measures to keep your data safe. The up-to-date infrastructure combined with a team of data recovery experts and R&D engineers, who, time and again, comes up with new and advanced solutions for recovering data from different types of data loss – physical as well as logical. Vashi is also replete with several local stores offering data recovery services. 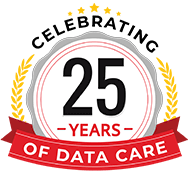 However, with Stellar having an expertise of 23+ years in data recovery and 3+ million customers to its credit, plus being an ISO 9001:2015 & ISO/IEC 27001:2013 certified company with an assured 100% recovery of data and a 95% success rate, it is a league on its own. If you are carrying the storage media for data recovery to our branch, ensure that it is well packed so as to avoid any kind of damage during transit. Click here to know more about packing instructions. 5/5 April 19, 2019 Excellent job but a bit expensive. 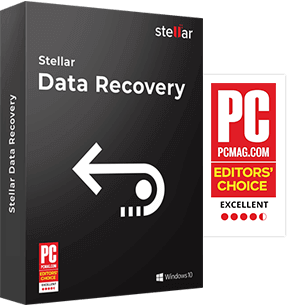 5/5 March 30, 2019 FANTASTIC JOB DONE...I was in a dilemma whether the hard drive could ever be recovered...Stellar did a fantastic job...Kudos Stellar !! 5/5 December 26, 2018 Excellent in Data Recovery.